Above: David Bloom, HSBC. Image (C) Pound Sterling Live, Bloomberg. 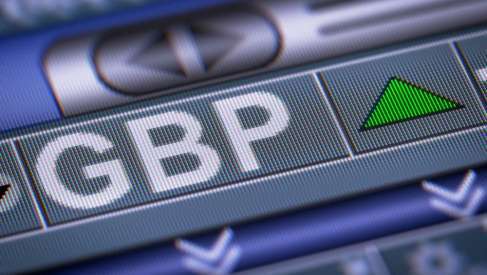 Pound Sterling may be at "cheap to fair value" says a veteran of the foreign exchange markets. David Bloom, global head of FX at HSBC, thinks the sell-off Sterling is witnessing brings it into line with the valuation levels it deserves to command in the current environment. GBP/USD hit a new yearly low of 1.3010 on Wednesday, which has take the pair to within a tenth of a cent of HSBC's official target of 1.3000. In line with the broad-based selling pressures being heaped on the currency, the Pound-to-Euro exchange rate has meanwhile plumbed fresh four-month lows to reach 1.1196 over the course of the past 24 hours. "We haven't got it falling that much from here, our forecast is at 1.3000," says Bloom, on the GBP/USD's prospects, adding, "I'll tell you, when it was at 1.43 I was sweating, let me tell you something I was under massive pressure. It was going to be a soft Brexit and the Bank of England was going to raise rates and everything was looking more relaxed." Bank of England monetary policy is a major driver of Sterling; interest rates influence inflows of foreign capital and thus demand for Sterling which tends to increase when the Bank puts up rates. Interest rate expectations have undergone a considerable flip-flopping in expectations of late. "It has gone from 'one and done' to 'two and through', now the BOE is going to make one more hike and end, and now we have a political situation which remains very messy. So on what basis (should we expect a weaker Pound)? Sterling should be cheap to fair value, and so it is," says Bloom speaking on Bloomberg TV. The strategist describes Sterling as bouncing around within a range due to see-sawing Brexit expectations. GBP/USD is likely to remain rangebound between 1.30-34, and EUR/GBP between 0.87-89 (GBP/EUR 1.1242-1.1496), until a "slam-dunk piece of news" with a definite hard or soft Brexit conclusion leads to a "burst through" or breakout of the consolidation. Short-term, however, a slight bias currently exists for a move down within the tight range between 0.87 and 0.89 (it is currently at 0.8915/1.1213) as the Euro weakens a little, based on HSBC's bearish EUR/USD forecast of a decline to 1.13 eventually. It's not just Brexit news that is weighing on Sterling. The Pound sold off on Wednesday, July 18 after UK inflation data for June undershot expectations, remaining at 2.4%, when a rise to 2.6% had been expected by a consensus of economic views. Core inflation also surprised to the downside coming out at 1.9% versus the 2.1% forecast, suggesting the slowdown was not due to temporary fluctuations in the price of fuel and food. The below-expectations prints brought into doubt whether the Bank of England (BOE) will raise interest rates at its August meeting. "BoE rate hike expectations will be pared back for August no doubt, especially given political uncertainty. Even with a net vote in favour of a hike, we are likely to see a one and done," says Neil Jones, head of corporate and financial institutions at Mizuho Bank. Pricing in interest rate derivatives markets currently implies an August 02 Bank Rate of 0.64%, which is just more than half way toward the 0.75% rate that would prevail if the BoE did go ahead and raise rates by 0.25% next month. This indicates a fall in the probability of a rate hike in August compared to the chances at the beginning of April, when the implied probability was more than 80%. It suggests markets are not entirely sure the Bank will pull the trigger next month. The Pound remains on the back-foot more broadly due to political machinations to do with Brexit. 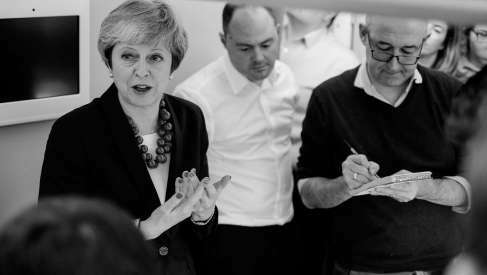 The government only narrowly avoided defeats on key Brexit legislation in recent days undermining confidence in the government's ability to ensure a smooth and orderly Brexit. 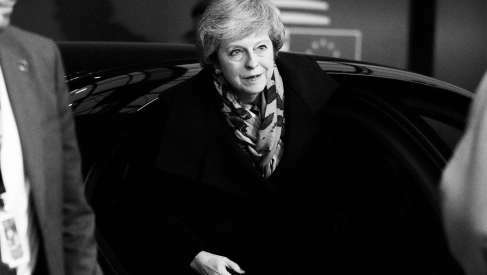 The most recent challenge to Theresa May's Chequer's Bill came from a rebel faction comprised - not of hard Brexiteers - but of a soft Brexiteer faction within the Conservative party who want an amendment added to the Bill that would make it a default position for the UK to remain within the customs union should the UK fail to agree a deal with the EU before the 21 January 2019. The amendment was narrowly defeated by 307 to 301 due to Tory whips threatening the 'soft' faction with calling a general election in the event of a government failure. 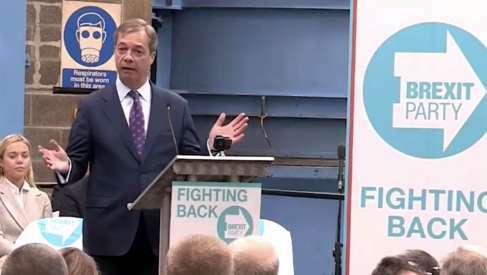 Yet at the same time the failure of the soft Brexit faction to secure a backstop of membership to the customs union keeps the chances of a hard Brexit live and this led to the weaker tone of Sterling in markets midweek. The failure of to secure the amendment shows that, "the hard Brexit Conservatives have the numbers to sway the government's Brexit strategy, in contrast to the Rebel Remainers who have lost or withdrawn some of their key amendments. Overall, it shows that Parliament has the numbers to pass a harder - not softer - form of Brexit," says a morning strategy note from TD Securities.